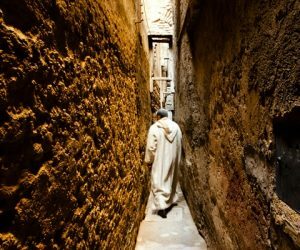 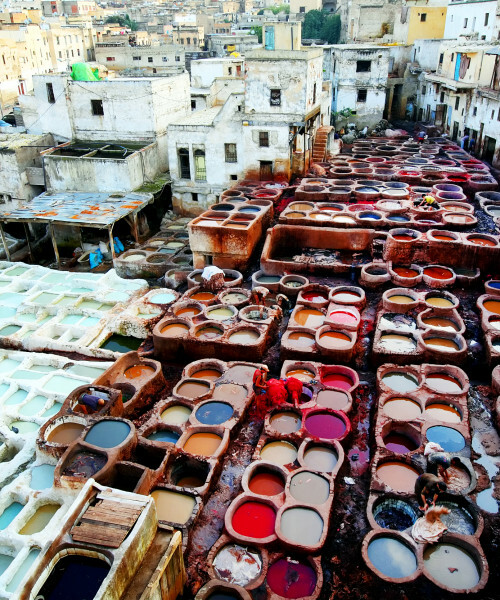 Fes is well worth a visit on its own (3 or 4 days is usually enough), but if you have a bit longer then we would suggest combining it with Rabat or, if two cities is too much ,then with the village of Bhalil just outside Fes. 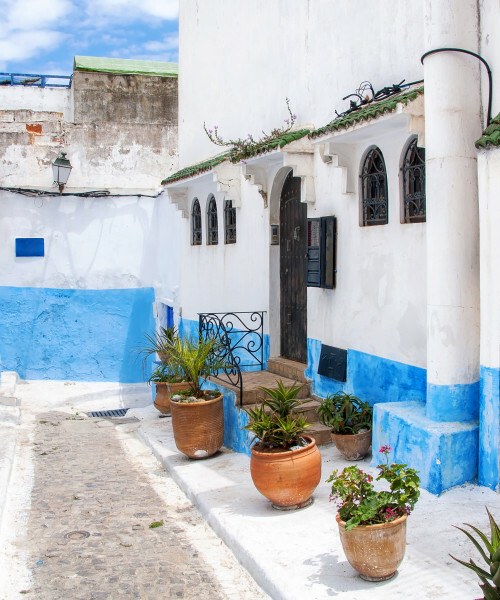 An important consideration is flights and at the moment you can get direct flights to both Fes and Rabat (with Ryanair from Stansted) so this plan works well. 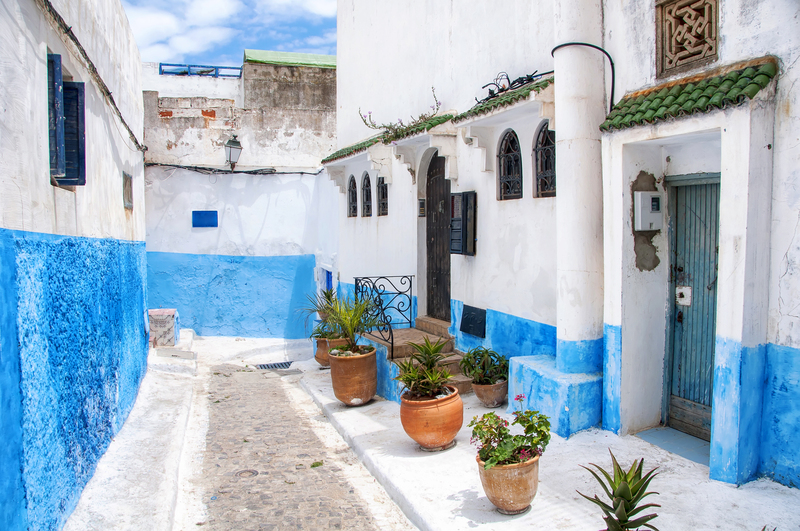 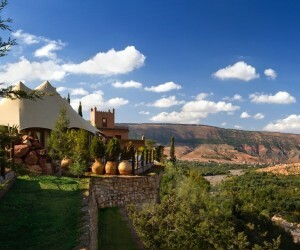 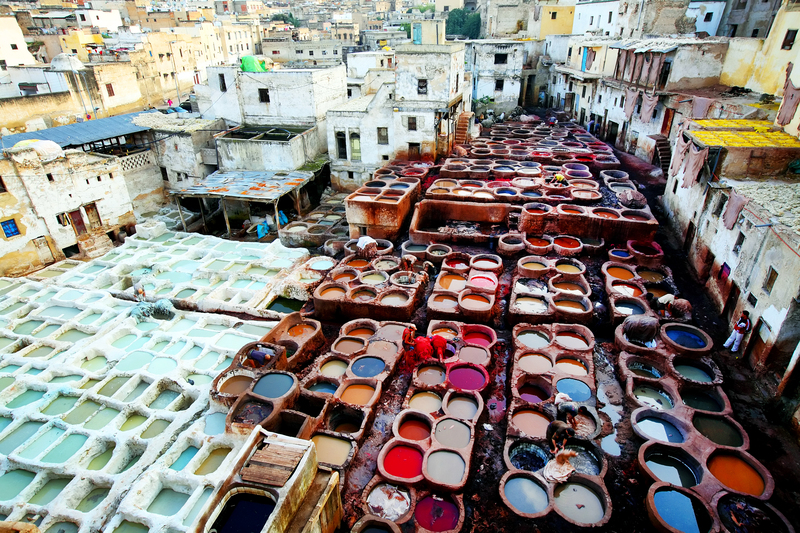 Short trip combining the cultural cities of Morocco. 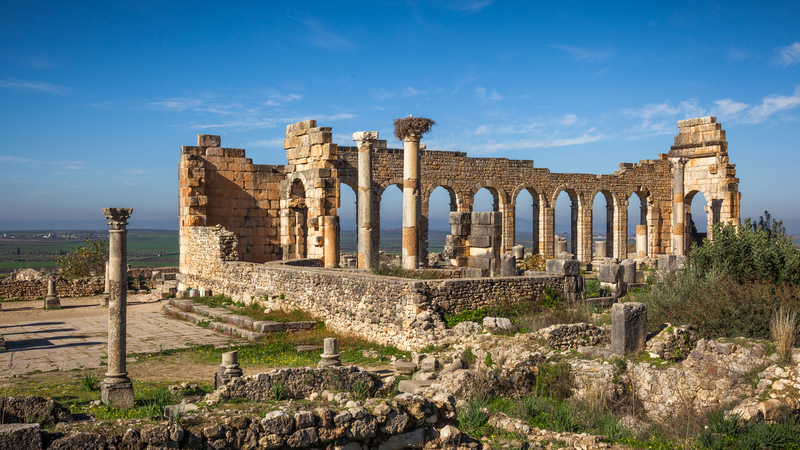 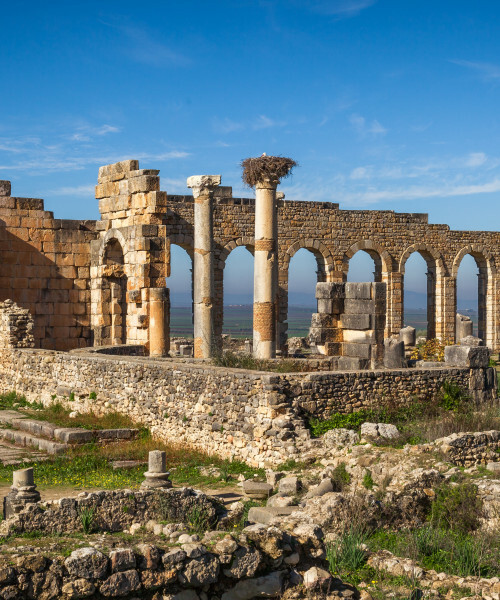 Start with a few nights in Fes from where you will take a day trip to visit the roman ruins of Volubilis and the city of Meknes. 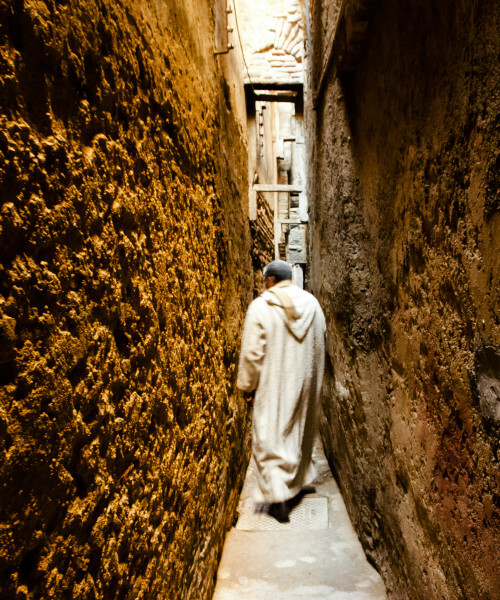 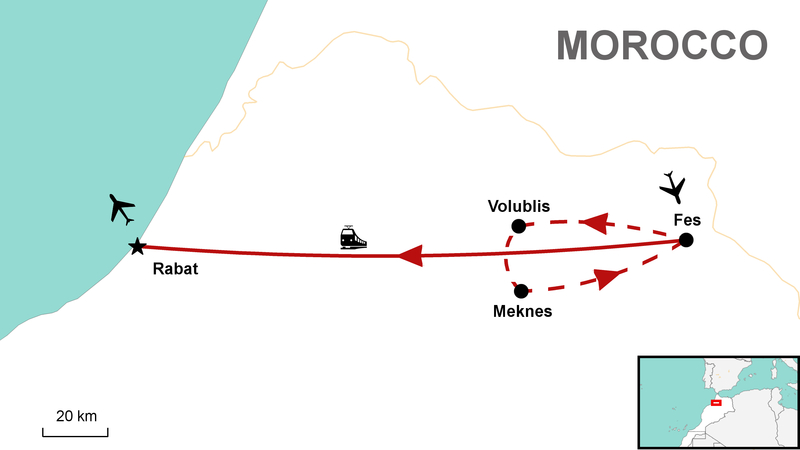 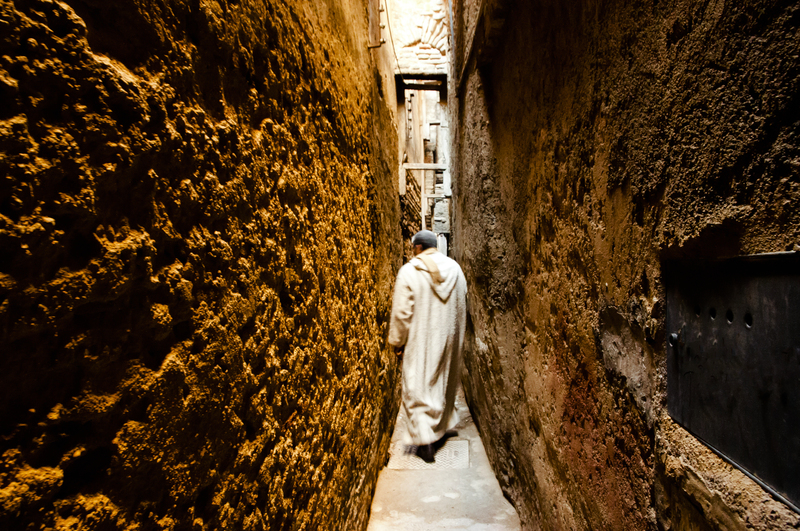 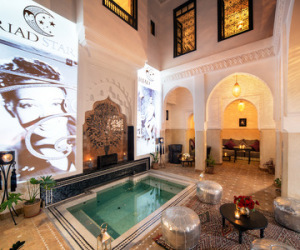 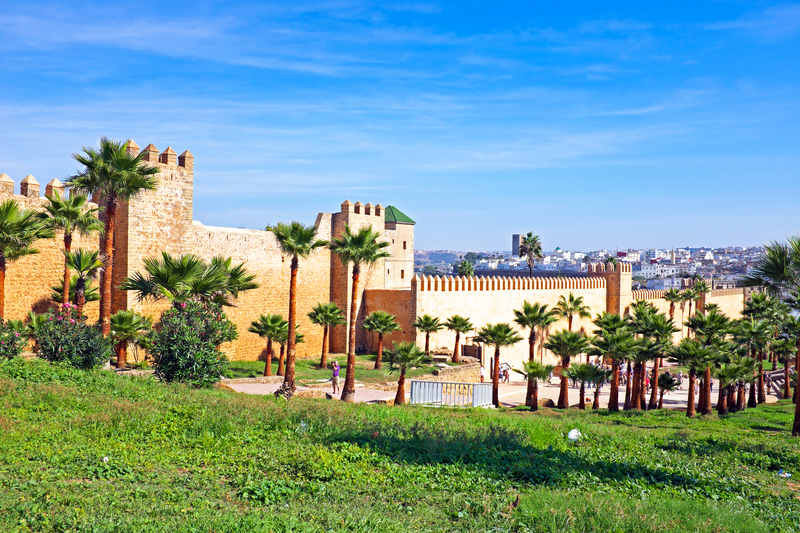 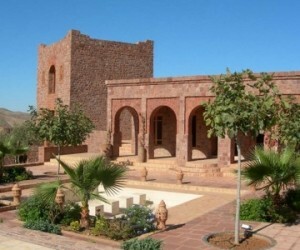 From Fes you will take a train to finish off your stay in the historic city of Rabat. 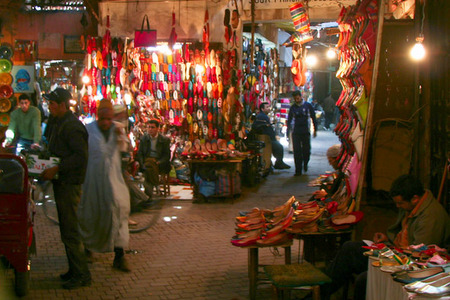 This 6 day/5 night trip is from £450 per person based on 2 people sharing a room.